Floods cause all kinds of damages; erosion, structural integrity compromises, and property destruction among them. These damages can result from floods that occur as a result of storms, overflows, and a variety of other things, and in any case even the slightest flooding can result in high costs. Insurance is a way of reducing and even eliminating these costs and keeping individuals and businesses secure in the events of floods. At Compass of CA Insurance we work with the provisions of the National Flood Insurance Program (NFIP) to deliver optimal, customized flood insurance plans. We have our own flood insurance program and we adapt this program to individual clients’ needs to provide the greatest protection for the best price. Another thing to consider is reimbursement value. Replacement cost value (RCV) and actual cash value (ACV) are the two reimbursement options you have. Businesses more often have the RCV option, which reimburses for a damaged item without consideration for depreciation, than homeowners because of the difficulty of establishing proper item value. Your agent at Compass of CA can help you take advantage of RCV whenever possible. 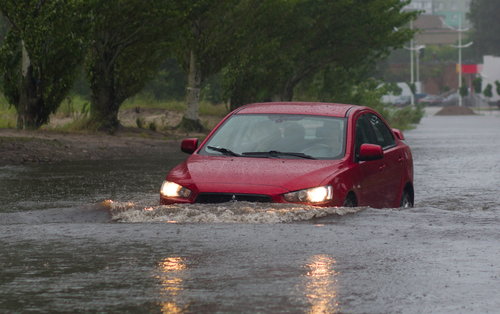 Another thing that your agent can do is help you find the best deal on your flood insurance. Premiums for flood insurance vary from state to state and depend on factors like flood risk and home values. Prices for flood insurance are generally set by the federal government, but overall rates can be reduced through special benefits and discounts when purchased through an independent agent. The NFIP cannot provide these benefits and discounts. Contact us in Napa, CA and Sonoma, CA or give us a call to learn more. If you’re ready to start on a policy you can also request a quote. 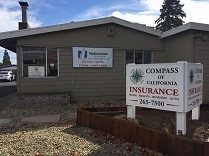 Compass of CA Insurance is proud to provide flood insurance in Napa, CA. We also serve other areas in the state and we serve four other states.